Thirty years ago, a horrendous attack in the California mountains thrust chemistry student, Alexandra Flanagan, into the secret world of vampires. Now, unable to stomach the thought of drinking blood from another person, she survives on a chemical blood wine. But there are some who secretly disapprove of her clandestine activities and will do anything to stop her. A vampire of honor protecting humans... Ancient vampire, Reese Colton, is part of an elite military operation seeking out and eliminating rogue vampires. Undercover as a firefighter, he and his team have been called in to investigate the unusual number of fires covering up the murders of vampires living on Alex's blood wine. A murderer seeking revenge... When chemistry ignites passion, Reese and Alex find themselves embroiled in an affair that catches them both unaware. 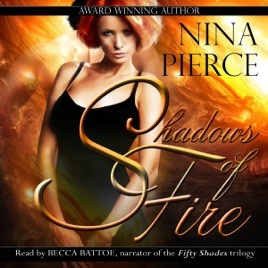 With the number of fires escalating and evidence against Alex mounting, Reese isn't sure whether to follow his heart or the clues as he seeks to find a murderer in the Shadows of Fire.